The Welcome Bay community centre has a large range of services to aid our community. The Welcome Bay Community Centre has so many different events to offer. The Welcome Bay Community Centre wants to help create a friendly community that looks out for each other. The Centre was formed in 2006 to foster the interests of the residents of Welcome Bay and neighbouring suburbs, establishing a community-based facility, including youth activities and support programmes, adult education, advice and assistance, and the management and operation of a centrally located community meeting and drop-in centre. In 2006 there were increasing levels of major social and crime issues in and around the Welcome Bay area, particularly around the Waitaha Reserve and shopping area. A public meeting was held in the Welcome Bay Hall, attended by over 100 people including the electorate MP, Tauranga City Council staff and councillors, NZ Police, and other interested parties. As a result of this meeting, a steering committee was set up to form a Community Centre for Welcome Bay. Operating out of local residences, the Welcome Bay Community Centre was formed and registered as an Incorporated Society and with the Charities Commission. Welcome Bay Hall was used as a venue for youth activities and a support and advice bureau. Through the work of the Welcome Bay Community Centre, combined national and local government departments and other agencies were brought together to form a Welcome Bay Interagency Forum. This was a ground-breaking venture in community development and continues to be a significant and highly relevant forum. With the support of the forum and other organisations, activities and funding became more available and eventually, the Welcome Bay Community Centre was able to move into premises better suited to deliver the growing range of services and activities. The Welcome Bay Community Centre and individuals representing the Centre have been nominees and recipients of local and national awards for the work they have done in the Welcome Bay community. The Centre continues to be active in improving the wellbeing of our community, providing 100% commitment to the community. On a day-to-day basis, the Centre provides an info site and support referral centre, budget and advisory services, yoga group, and a facility for hire. 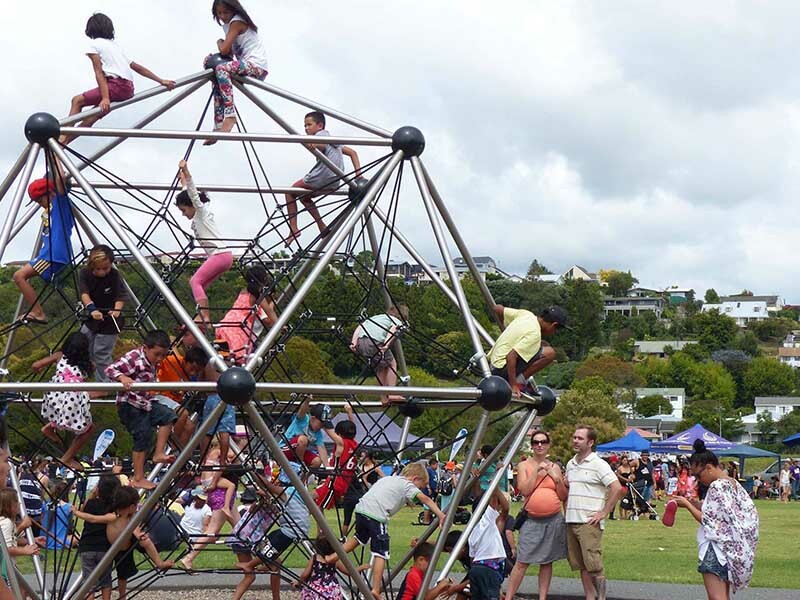 The Centre supports and facilitates the organisation of an annual family event at Tye Park. This annual event brings the community together to celebrate our unique world, to unite families and friends in a festive atmosphere in a beautiful location. As the needs of the community evolve, so the Centre plans to move with these needs through our strategic plan. A need identified in the community is easy access to internet services. Job applications and house-hunting are but a couple of examples that almost exclusively require internet access. The Centre has installed free WIFI and two publicly accessible computers, providing cost-effective community access to internet services. Much of what drove the genesis and development of the Community Centre was the needs identified in the community, and in 2011 these needs were documented in the Welcome Bay Community Plan. The plan has guided the strategic direction of the Centre, and the Centre has been working towards fulfilling the desires articulated in the plan. In 2016 the plan was updated and we now have a new strategic plan for the next five years. The Community Centre is overseen by a Management Committee, made up of members of the community from all walks of life. The strength of any community organisation lies in the quality of its governance – a group of people with a strong desire to support the community, with a wide variety of relevant skills to make sound decisions and offer meaningful support to the organisation. People who enjoy giving time to the community, knowing that the skills they bring and the difference they make will be very special and very relevant to making our community a better place. Our committee members are dedicated people willing to represent the best interests of the Centre, able to make connections that bring benefits to the effective operation of the Centre, and able to appreciate that the work of one person can make a huge difference when we all work alongside each other.